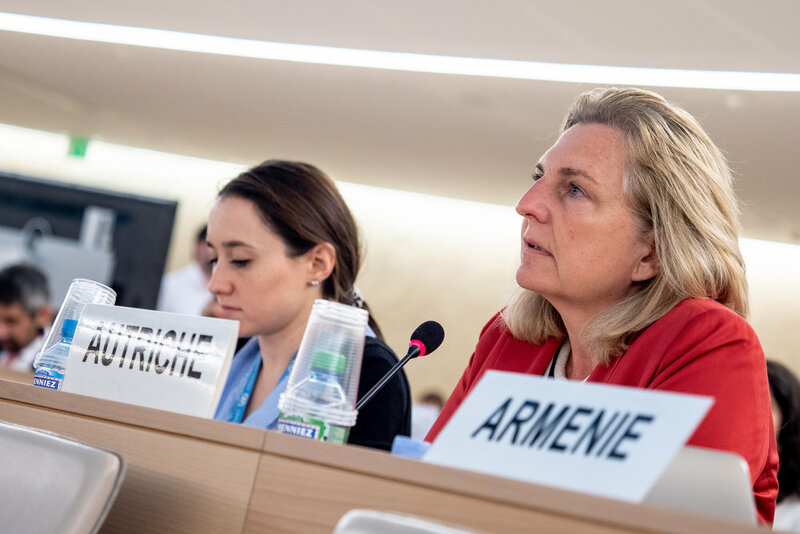 On June 26, 2018, Karin Kneissl, the Austrian Federal Minister for Europe, Integration and Foreign Affairs, addressed the U.N.'s Human Rights Council at its 38th session held in Geneva, Switzerland. "200 million women and girls worldwide are victims of female genital mutilation in 2018. This severe violation of women's rights cannot be justified by culture, tradition or other reason. Austria is committed to fight female genital mutilation through our development cooperation", stated Ms. Kneissl. The Austrian Foreign Minister affirmed there was no alternative to addressing common problems by mechanisms of effective multilateralism. She also called for support as Austria pursues membership in the United Nations Human Rights Council for the 2019-2021 session. The Council, by representing the diverging interests of its member states, was not perfect. However, it held states who violated rights to account. 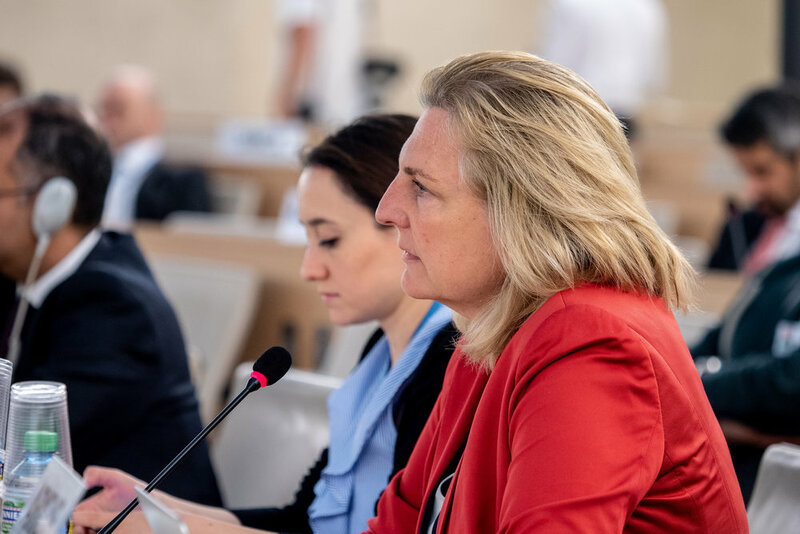 Following the U.S.'s withdrawal from the Human Rights Council, the Austrian Foreign Minister said, that there was a need to look at its shortcomings. 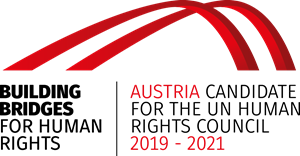 Austria was convinced that if elected to it, it would make substantial contributions to the promotion and protection of human rights for everyone.